During the mosquito season it is always good to have some Afterbite at hand. No matter how careful we are we will be bitten eventually when sitting in the garden or working there. Ammonia (NH3) is the chemical component in Afterbite. Ammonia is a gas that dissolves easily in water and then it is called Ammonium Hydroxide (NH4OH) but generally people still call it Ammonia. Ammonia can penetrate the skin. It is not quite clear why exactly Ammonia takes away the itch but experience shows that it works. 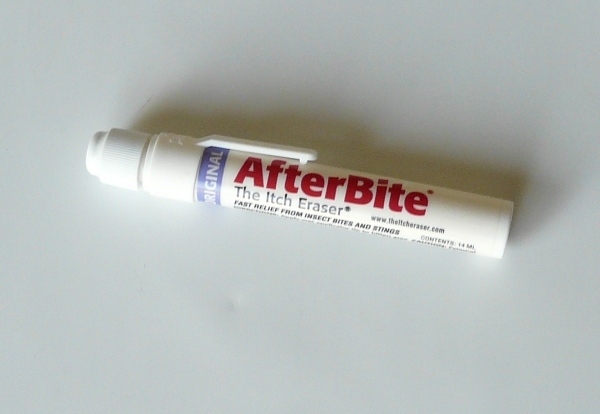 The Afterbite itch eraser pen as shown above contains 14ml of 3.5% Ammonia solution. For the cost of 3 Afterbite pens one can buy a whole bottle of 10% household Ammonia (NH4OH) and that is equivalent to over 100 Afterbite pens. 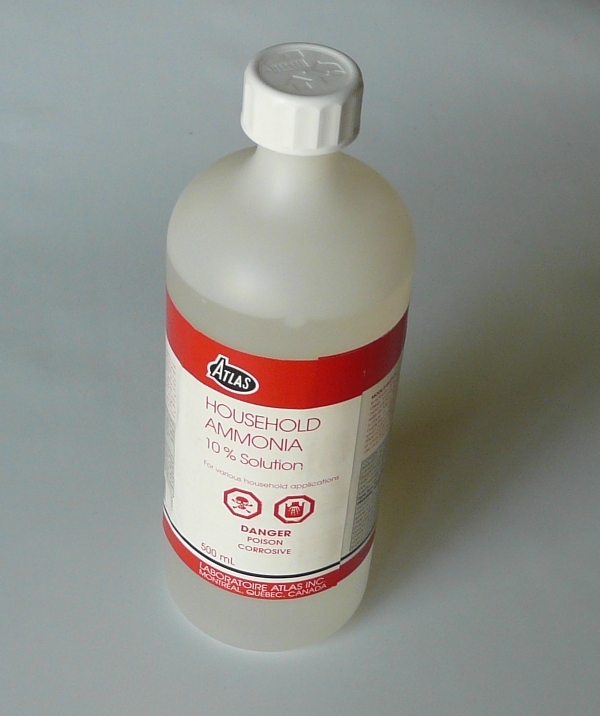 10% household Ammonia has to be mixed with water to get a 3.3% solution. Take one tee-spoon of 10% household Ammonia and add 2 tee-spoon of water. The Ammonia should be handled only outside the house or in a well ventilated room. This diluted household Ammonia solution can be used to refill the Afterbite pens or you can make your own pen. 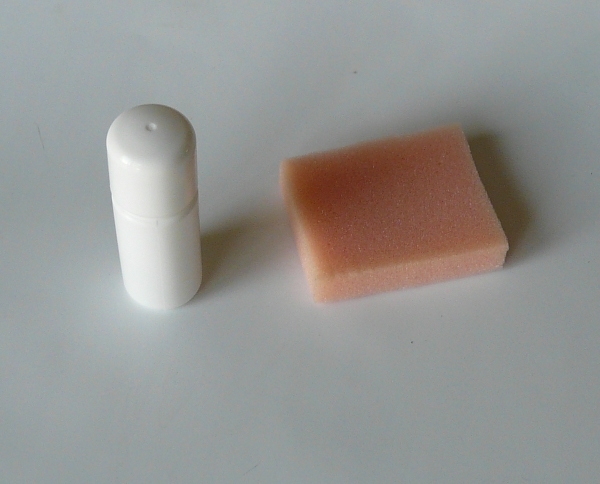 Take a small shampoo bottle (as found in hotels) and a piece of a soft sponge. Clean the shampoo bottle and fill it wit the diluted household Ammonia solution. Close it with a piece of compressed sponge. The sponge will prevent the liquid from coming out at once but you can rub the wet sponge gently over the spot were the mosquito bit. You can not only dilute the household Ammonia with water but you can as well try to mix it with a gel. Mix one unit of 10% household Ammonia with two units of Aloe-Vera gel or hand sanitizer gel. 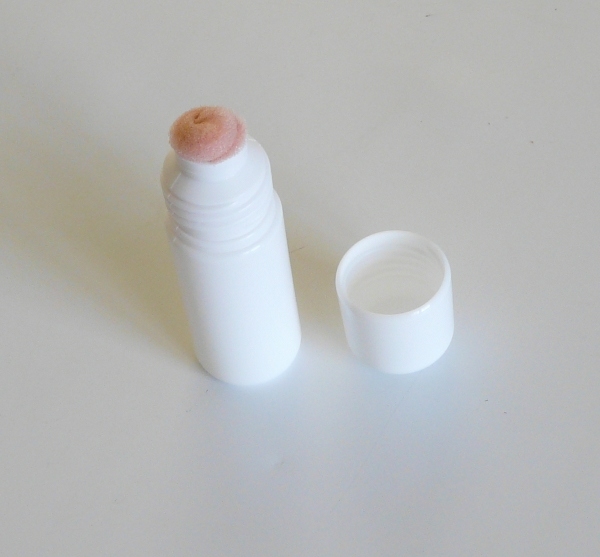 Store the gel in a small jar. Apply a thin layer of gel onto the area where you were bitten by the mosquito. The gel will give additional relieve by cooling the skin area. Be sure to dilute Ammonia properly and don't use the Afterbite excessively. Apply it only to a small skin area. Apply it to just the area where the skin is red from the mosquito bite. Ammonia is corrosive and toxic in very high concentrations.